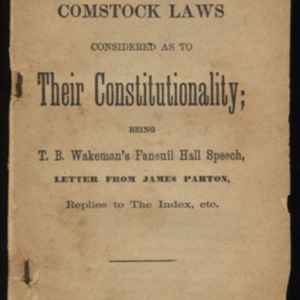 The Comstock Laws Considered as to Their Constitutionality: Being T.B. Wakeman's Faneuil Hall Speech, Letter from James Parton, Replies to the Index, etc. New York: D.M. Bennett, Liberal Publisher, 1878. 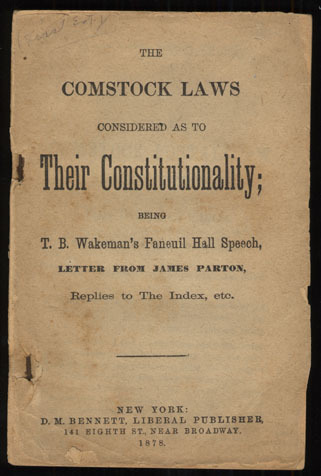 “Comstock Laws,” University of Virginia Library Online Exhibits, accessed April 26, 2019, https://explore.lib.virginia.edu/items/show/584.